Day 3 was Star Wars Day at San Diego Comic-Con International and we have something shocking to report, ladies and gentlemen. We did not see a single light saber, not one! Since we almost incurred an unfortunate eye injury last year due to an overenthusiastic Jedi, this was most welcome relief. For ScriptPhD.com, today was all about science and technology. In a day that could not have been more tailor-made for our website, we enjoyed panels with the eminent sci-fi television writers of today discussing writing for genre TV (a must-read for any aspiring TV writers out there! ), a visit from the greatest science fiction writer in the history of science fiction, Ray Bradbury, a preview of next season’s sci-fi show The Event, and a panel on how exactly shows like CSI “tech” out with gadgets galore. Oh, yes, did we mention we got to hang out privately with the MythBusters?? With the help of our intrepid reporter Bryy Miller, we bring you the most complete Comic-Con coverage on the web. Plus, our Costume of the Day, after the “continue reading” cut! 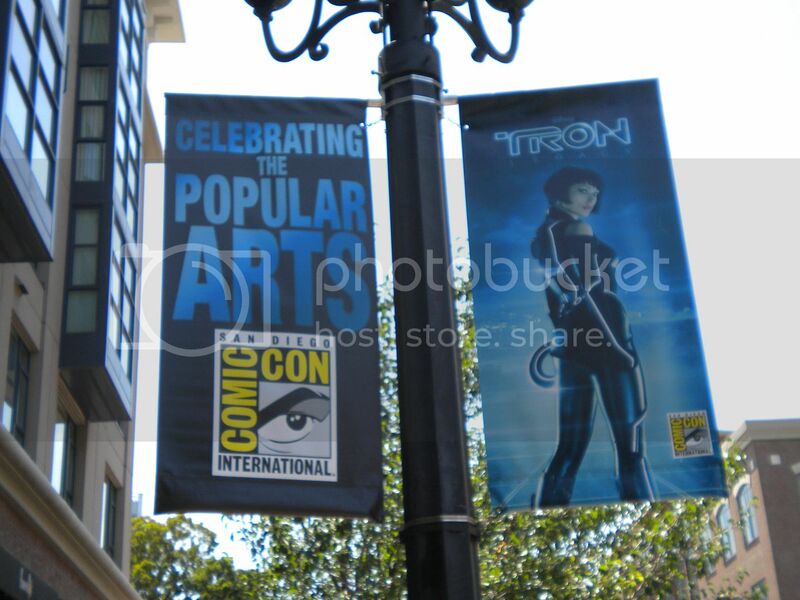 Day 2 of Comic-Con is over and now, the Convention is really underway! Todays ScriptPhD.com coverage has a heavy focus on television, and sci-fi television to be specific. Really, is there any other kind? We spent time in the press room with the stars and producers of SyFy Channel hits Caprica and Stargate Universe, our favorite geeky physics show Big Bang Theory and the exciting (first-time ever!) Comic-Con Discovery Channel unveiling of their new scripted series Reign of the Dinosaurs. As always we try to pay hommage to the roots of Comic-Con with coverage of the design tricks behind comics and graphic novels. Additionally, we provide pictorial documentation of the costumes and happenings of the Con, and our Day 2 Costume of the Day. Complete coverage under the continue reading cut. The 2010 World Science Festival Runs in New York City from June 2-6. ScriptPhD.com’s coverage of the World Science Festival in New York City continues towards the physics and mathematics realm. Day 3 events on Friday included an intimate discussion about astrophysics and the new James Webb Telescope, set to replace Hubble in June of 2014, a panel about hearing and visualizing gravity with Albert Einstein’s modern successors, and a panel about the very limits of our understanding of science—the line between what we do and don’t (or can’t) know—and its bridge to culture and art. Contributions to our coverage were done by New York City science writers Jessica Stuart and Emily Elert. Synopses and pictures of three extraordinary panels with the premier scientists of our time under the “continue reading” cut. Begun in 2008 by Columbia University Physicist Brian Greene, the World Science Festival has burgeoned from an intimate cluster of science panels to a truly integrated mega-event melding culture, science, and the arts. Those lucky enough to make it out to New York City to the over 40 events this year will have a chance to learn about a variety of current science topics, go stargazing with NASA Scientists, discuss Faith and Science, and find out why humans commit violent crimes. Those not lucky enough to be there can browse the full list of events here and watch a live-stream of selected events here. 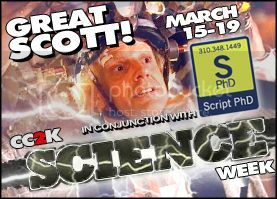 ScriptPhD.com is proud to be at the festival, and will be bringing you coverage through Sunday through the eyes of talented science writers Jessica Stuart and Emily Elert. Our blogging will include event summaries, photographs, interviews and even videos of the street fairs and science literally spilling over into the streets of New York. In todays modern, fast-moving world, large telecommunication and media corporations are playing an ever increasing role in shaping the collective consciousness of society. This development might lead us to ponder what role, if any, traditional pillars of learning such as law, science, medicine, literature and art have to contribute to society. How does society absorb these contributions during the ongoing media (and social media) blitz that has transformed how we obtain, process and share information. More importantly, what influence do these contributions have upon society, and what influence does society reciprocate upon these institutions? For our last (and best) post of Science Week, ScriptPhD.com examines the relationship between science and society, and extrapolates social policy and pop culture lessons that could shape and transform that relationship in the future. Please click continue reading for more. We are living in the time of science fiction. Literally. Think about it: both 1984 and 2001 have come and gone. And while 2010 may be a disappointment to those of you who were expecting flying cars and time machines, many of the devices we take for granted now can trace their origins in science fiction of the past. Countless lists have been compiled of sci-fi inventions (a few excellent ones can be found here, here, and here), and Editor Jovana Grbić spoke about the topic during a recent UCLA School of Film colloquium. So in this post, for Day 2 of ScripPhD.com Science Week, I’d like to take a look at a few examples of the scientific inventions that science fiction has bestowed us—and the ones they’re still perfecting for the future! When it comes to the interface of art and science, in many ways Madison Avenue finds itself in the position of the early days of sci-fi entertainment, where campy, unrefined productions took decades to evolve into the sophisticated films and shows we enjoy today. To be brutally honest, 95% of current science and technology advertising ranges from hackneyed to terrible; unimaginative, uncreative, uninspired. But here at ScriptPhD.com, we want to focus on the superlative 5%. What makes these campaigns work, what elevates their content above the crowd and most importantly, how do they fit within the theme of the science or industry they are promoting? This is why we are expanding our umbrella of coverage—which has heretofore included film, television and media—to the final frontier: advertising. In our brand new series entitled “Selling Science Smartly,” we will profile the best that science and technology advertising (print, TV, radio, digital and everything in-between) has to offer. Where possible, we will interview the respective campaign’s agencies and creative teams to give you a rarely revealed behind-the-scenes purview into the process and foundation of making these ads. We are proud to launch the series with the exceptional Dow Human Element campaign, including an in-depth interview with Creative Director and mastermind John Claxton of Draftfcb Chicago, who breaks down the thought process behind the creation of the campaign. First of all, let me assert my firm belief that the only thing we have to fear is fear itselfnameless, unreasoning, unjustified terror which paralyzes needed efforts to convert retreat into advance. These inspiring words, borrowed from scribes Henry David Thoreau and Michel de Montaigne, were spoken by President Franklin Delano Roosevelt at his first inauguration during the only era more perilous than the one we currently face. But FDR had it easy. All he had to face was 25% unemployment and 2 million homeless Americans. We have, among other things, climate change, carcinogens, leaky breast implants, the obesity epidemic, the West Nile virus, SARS, avian/swine flu, flesh-eating disease, pedophiles, predators, herpes, satanic cults, mad cow disease, crack cocaine, and lets not forget that paragon of Malthusian-like fatalismterror. 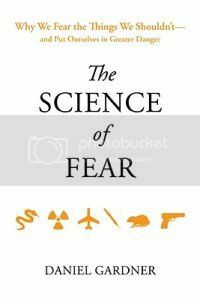 In his brilliant book The Science of Fear, journalist Daniel Gardner delves into the psychology and physiology of fear and the incendiary factors that drive it, including media, advertising, government, business and our own evolutionary mold. 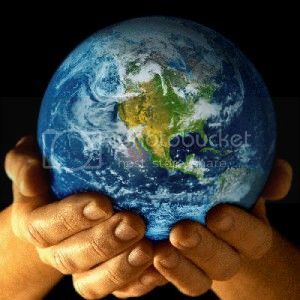 For our final blog post of 2009, ScriptPhD.com extends the science into a personal reflection, a discussion of why, despite there never having been a better time to be alive, we are more afraid than ever, and how we can turn a more rational leaf in the year 2010.